Do you have directions to Southampton High School? Southampton High School is in the heart of Southampton Village. Click here for directions from NYC. Yes, view the updated 2018 course map of the new and improved beachfront Hamptons Marathon and Half Marathon courses by clicking the button below. There is limited, permitted parking at Southampton High School. Parking permits are now available with race registration and through our website HERE. These onsite parking permits are $25 and all funds raised will support the Southampton Educational Foundation. There is also free offsite parking in the Village of Southampton, a 10-15 minute walk from the race start/finish. Packet pickup–collecting your race number and swag bag– is offered several times for your convenience in the week leading up to the race. Packet pick-up times and locations will be posted closer to race day! Yes, someone can retrieve your packet for you with a copy of your ID. No, packets are not available outside of these times. Both the Marathon and the Half begin at 8 am. The 5K begins at 8:15. Yes, you may change your race distance. There is no charge to change to a shorter distance, but you will be charged the difference in price if increasing your race distance. Race distances must be completed online prior to September 21, 2018. After that time, you may change your distance in person at the expo. Click Here to change your race distance. All injuries are different but most importantly, rest is key. If you only missed a few days and a few miles you may be able to just continue with your workout. However, if the injury is a little more serious you may need to cut down the mileage or maybe even reconsider your commitment to the marathon. Pool workouts are a great substitute to running if the injury is not as severe and weight training and yoga also help. Make sure you consult a physician for all injuries. We regret that entry fees are NON-REFUNDABLE under any circumstances, even if you cancel due to injury, even with a doctor’s note. Bibs may not be transferred from runner to runner.  You can defer your registration to next year’s race for $15 by completing the race deferral form here before Wednesday, September 19, 2018. How long do I have to complete the Hamptons Marathon? How long is the Half-Marathon open? The Hamptons Marathon & Half finish at the same place, so the course and the finish line will be open for 6 hours. Will there baggage check at the race? The Hamptons Marathon together with Finish Line Road Race Technicians will be using the gold standard ChronoTrack Systems™ B-Tag™. The B-Tag is a single-use RFID tag that participants have on their race bib to record their time. The B-tag is easy to use and is far lighter and less intrusive than other timing tags and chips, it can be used in all weather conditions, and is disposable after the race. The B-Tag records your time at the start, at the finish line and at splits during the race. As Race Directors, our most important job is to make sure you are safe and have a great race. If you can’t hear the directions being given by our staff, we can’t do our job. If you want to run with music, please keep the level low enough that you can hear people around you. Is there parking near the race start or should I take a taxi? There is limited, permitted parking at Southampton High School and close be at Southampton Hospital. Parking permits are available with race registration and both are fundraisers for the school and the hospital. 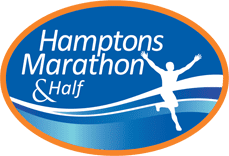 The Hamptons Marathon, together with the Hampton Jitney, will provide free shuttle buses from the Wickapogue parking field to Southampton High School and back after the race. Hereis a map of the parking options. Is there an app for tracking? Yes! More information on how to download the Live Tracking App will be available soon! Family and friends are welcome to join runners on the shuttle to the start/finish line. Here is a map of the best spectator spots. Are training plans offered for the Hamptons Marathon or Half Marathon? Starting a training program is an exciting step towards completing your next goal, whether that’s completing your first full or half marathon or setting a new PR! Our training plans are free and designed to help you meet your running goal. Click here to view our FREE training plans for 2018. Our travel partner, Running Away – The Active Travel Company for Runners is delighted to assist you with all your travel needs, including hotel reservations, flights, rental cars, and transportation for the upcoming Hamptons Marathon. Please email Matt or call 877-544-AWAY (2929) to speak with a travel consultant. There will be plenty of hydration stations about 1.5- 2 miles along the course. There will be Sports Drink and water available at every hydration station. We will have Gu at one stop along the course. Stay tuned for the exact location of each hydration station! You should certainly eat before a race but in terms of what and when, every runner is different. Training is about all aspects of the race- running, of course, but also testing out your clothing, experimenting with your pre-race meal, finding the hydration and nutrition plan that works best for you during the race. Try different meals during practices, typically the longer ones and find out what works best for you. If you want to learn about volunteer opportunities, email diane@runthehamptons.com. You are guaranteed entry to the 2019 race if you volunteer on race day.